John Dearing, Professor of Physical Geography at the University of Southampton, has been given the prestigious Murchison Award (2014) by the Royal Geographical Society (RGS). Professor Dearing was chosen to receive the award in recognition of publications he led, which have contributed to the understanding of environmental change. Over more than three decades, Professor Dearing’s research has used long-term perspectives gained from analysis of lake sediments to address the problem of environmental degradation. More recently he has used the records to understand the underlying dynamics of our modern social-ecological systems, like river basins, lake systems and deltas. Recent high impact papers in Nature and also Proceedings of the National Academy of Sciences (PNAS), published with his colleagues, have addressed the issue of tipping points in lake ecosystems and whether measures designed to alleviate rural poverty can succeed without causing irreversible damage to the environment. University of Southampton Vice-Chancellor Professor Don Nutbeam commented: “I am delighted that John Dearing has been awarded the Murchison Award, in recognition of the hugely important work he is doing to understand the impacts of environmental change in some of the world’s poorest countries. The Murchison Award was first given by the Royal Geographical Society in 1882 and is awarded annually to publications judged to have contributed most to geographical science in preceding recent years. 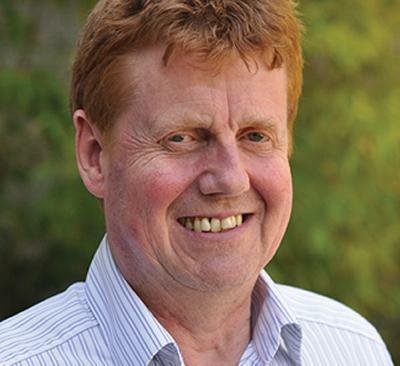 Professor Dearing is the second recipient of the Award in Geography and the Environment at the University of Southampton in the past six years – Neil Wrigley, Professor of Human Geography, was honoured in 2008.